A counterpoint to adventure: the always reliable salad of mozzarella, tomato, and basil. Back in the summer of 1995, when I worked on the Lower East Side, I used to walk by Di Paolo’s shop on Grand street most afternoons. It sold the most wonderful house-made mozzarella cheese I had ever eaten. 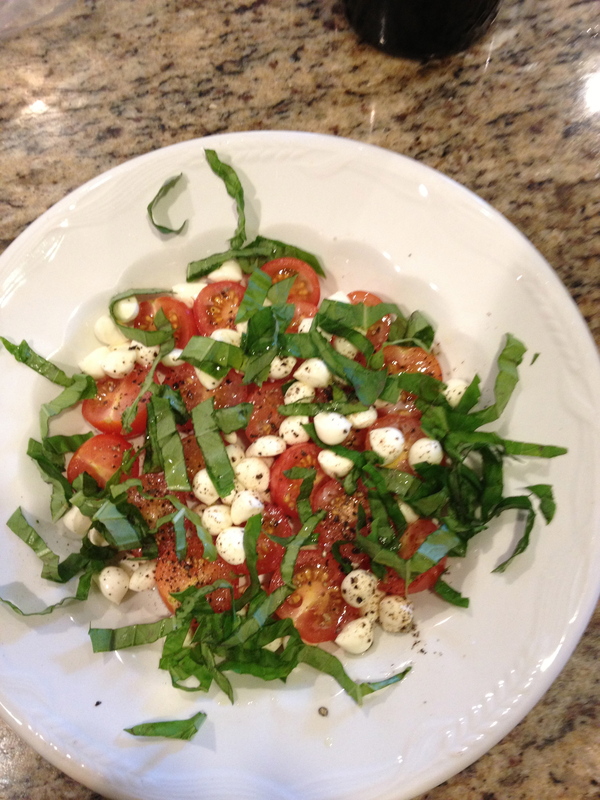 Mozzarella, basil, and tomatoes became my summer meal of choice. Eighteen years later it still tastes just as fresh. Maybe adventure is over-rated. Published: July 28, 2013 Dimensions: 2448 × 3264 Posted in: Kitchen Gallery Post a comment or leave a trackback: Trackback URL.